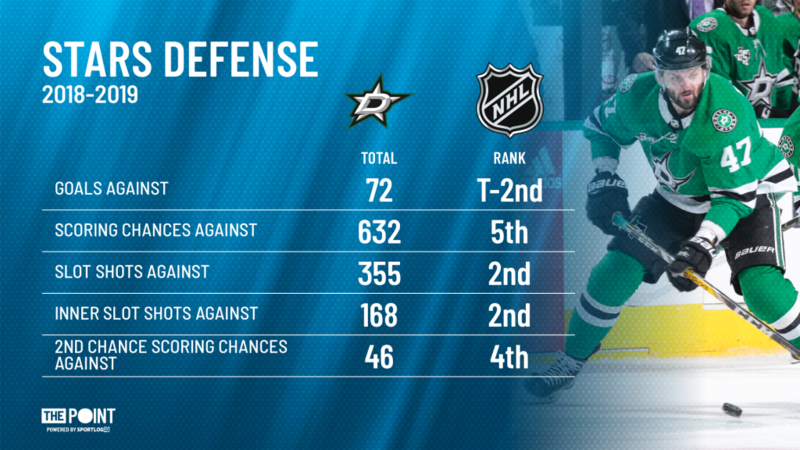 Tale of the tape: Stars defense vs Sharks offense - The Point Data-driven hockey storytelling that gets right to the point. 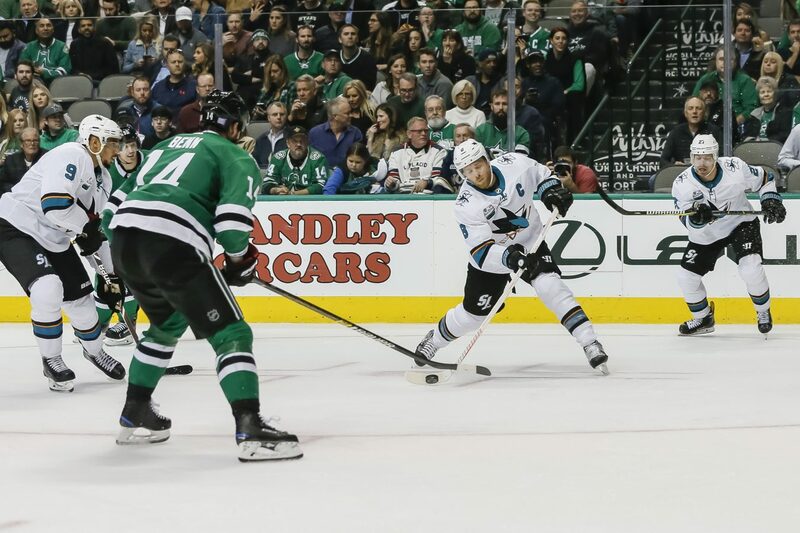 Tonight presents a big opportunity for either the Dallas Stars or San Jose Sharks. These two teams are tied with Vegas for the sixth spot in the Western Conference and go head-to-head tonight. Both teams are looking to separate themselves from those on the outside looking in. We’re talking about you, Minnesota and Edmonton. This game will most likely be decided in the Dallas Stars’ slot. The Stars have been one of the best teams in the league in the defensive zone: they’re tied for second in goals against having only allowed 72 goals this year. They get it done by committee, putting their focus on shutting down their slot. This is the most high-danger area on the ice and their commitment to not giving up chances from there is what makes them successful. They’re relentless on loose pucks, recovering the 3rd most defensive zone rebounds while allowing the 4th least 2nd chance scoring chances. If you don’t score on your first try there isn’t much of a chance you’ll get another crack at it. The Sharks haven’t been a high-scoring team this year but they do produce a ton of high-quality chances. They create mostly off the cycle and forecheck but they’re also more than willing to battle for second chance opportunities. Timo Meier, Evander Kane, and Joe Pavelski are all in the top-15 for inner slot shots with Kane being tied for first in offensive zone rebounds recovered. 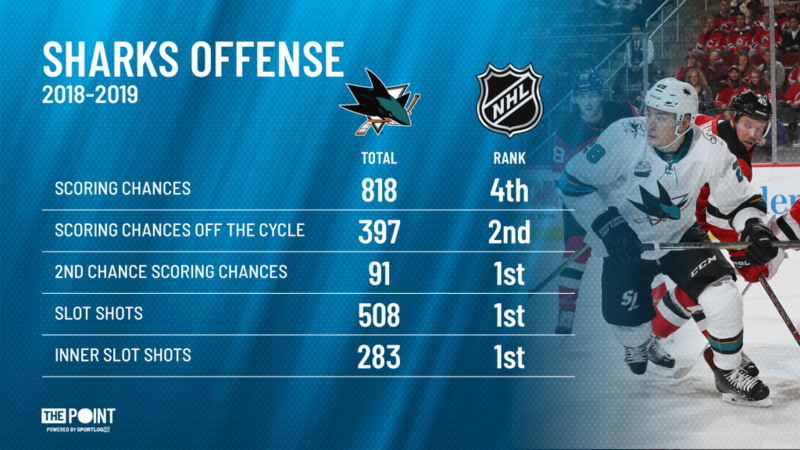 Not to mention that as a team, the Sharks recover the fifth most rebounds in the offensive zone. San Jose has two big-time offensive defensemen in Brent Burns and Erik Karlsson who can consistently get pucks through to the net so having those guys battling for the ensuing rebounds is how they can create so many quality scoring chances. Dallas locks down the front of their net but there’s no quit in San Jose when it comes to getting in there. They have plenty of guys that are willing to get to the front of the net and battle and tonight they’re going to be battling against some of the strongest slot defenders in the league. Being able to break through that wall is the key to San Jose’s victory but don’t expect Dallas to back down.